"Right" and "Wrong" answers. They would learn, firstly, that there are "right" and "wrong" answers, and that "right" is "good" and "wrong" is "bad." I would much prefer them to be seeking information for its own sake, because they want to know it, rather than because it's a "right answer" and will earn them brownie points / pats on the head / praise / self-esteem. I think kids (particularly ones who want to please their teachers) can develop a fear of "wrong" answers that very seriously discourages their willingness to take intellectual risks, explore multiple options, and damages their self-confidence. There's no need to have kids internalize that kind of thinking while they're still so young, and while their whole approach to learning is still being formed. Besides, when an answer is marked "right" or "wrong," that tends to be the end of the thought-process, whereas really there's usually a lot more to be said and thought about, in either case. And lastly, they would get used to the idea that someone else would be evaluating their work and pronouncing the verdict on it, whereas I would much prefer that they see themselves as very well qualified to judge their own work. Did it turn out as I hoped/planned/expected? Well, good. Or no, it didn't? Well then, what could I do about that? They would start to expect that someone else should be guiding their course of study and telling them what they should learn next, rather than learning to be guided by their own interests, and to explore and pursue the topics that they themselves find fascinating. I think that the best learning comes out of what you truly care about, and that self-directed study is far more likely to be inter-disciplinary than a course of study which comes pre-packaged into "math" and "science" and "language." All the research I've read emphasizes that the most exciting careers of the future are all going to be at the intersection of two or more traditional fields, rather than within one single discipline. When they're older, there might be plenty of things that they "need" to learn, even if they're not currently very interested in them, but for little kids, I don't think they "need" to know any particular set of facts. They need to know the joy of learning. Not enough time outdoors if they're in school eight hours a day. Not enough physical activity if they're in school eight hours a day. Lack of opportunity to work/learn/study in mixed-age groups. I think learning in a group which has kids both slightly older and slightly younger than themselves gives kids the ability to use the older kids as inspirations and to see themselves as teachers and leaders of the younger kids, all of which is very valuable. Plus, it's more similar to real life than an environment composed entirely of same-aged peers. That never happens once you're out of high school. I think there are only two issues that are still worrying me about homeschooling. "Only two" is a big improvement compared to earlier this year, but still, they're bothering me quite a bit. The first is - sorry - socialization. Or not "socialization," exactly, because I'm not worried if the kids don't go through the process of learning to deal with the routine social mechanics of the school environment. But I do worry about their having the opportunity to form lasting, evolving, deep friendships. (Ordinary friendships are important too, of course, but I'm convinced that those would be easy to come by via homeschooling too.) I know this issue has already been discussed to death in a million books and blogs, but I can't figure out exactly how it would look, practically, in our own life. For example, a few weeks ago, I was planning to go to four different not-back-to-school events, in an effort to get to know the local homeschooling community. Three of the four were rained out, and the fourth, although enjoyable, was quite a small group focused more on older kids. Meanwhile, kids in school had seen their friends five days in a row that week, and every week after it, no matter what the weather was like. Would Basbusa's ability to make intimate friends be always hostage to weather, to lots of emailing and schedule-checking by lots of moms, and to many many long car-trips...? Also, although I do buy the oft-repeated argument that a lot of time is wasted in traditional schools (changing for gym, waiting in line at the cafeteria, listening to administrative announcements, etc), those are all times when kids just chat and interact. That time, plus the before-school, recess, lunch, and after-school moments may not be super-high-quality socialization time, but at least they're pretty sure to happen, and they do add up to quite a lot of hours. I wouldn't be worried about somewhat less quantity in exchange for better quality - if the girls had fewer hours with their friends, but they spent those hours engaged in free play or fascinating projects etc - but how reliable would those "quality" hours really be? I know that every experienced homeschooler with a blog seems to say that this never turns out to be a problem, but I haven't yet figured out how it would work for us. The second issue that worries me is my own ability to set up some kind of routine. I've been trying to do that ever since Basbusa was born, and three years later, I haven't managed it do it! No two days look the same, and about three days out of four, I get to the end of the day with most of the highest-priority things on my to-do list still undone. For now, it doesn't matter much, because it only results in disorganization and occasional laundry crises. But if a miracle doesn't happen between now and whenever we start "real" academics, I can just imagine things like "math" and "history" still looming on the to-do-list at 8pm at night! This is something I really want to change in any case, regardless of whether we homeschool or not. But I've been so awful at it so far, that I wonder how I could gamble my kids' education on my own abilities to get organized...? 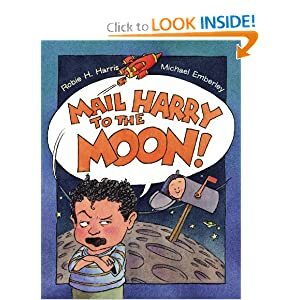 Mail Harry to the Moon has been a huge success in our house. While I was pregnant with the baby, and while she was a newborn, Basbusa and I must have read every picture book ever written about a first kid getting used to having a sibling. Basbusa wasn't terribly interested in any of them while I was pregnant, and even after the theoretical baby-sister became reality, she didn't seem to get much out of them. But Mail Harry to the Moon is just what we've been looking for. The book captures perfectly the kinds of things which Basbusa finds hardest to deal with in having a little sister - especially that someone ELSE now also gets to sit in Grandma's lap! 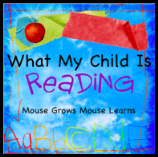 - and the older toddler's reactions are so similar to Basbusa's own feelings that she was stunned into silence the first time we read it :) But the book is funny, and deals with the issues with a light touch. Basbusa also loves the way the older boy pretends the laundry basket is a rocket and zooms off to rescue his baby brother from the moon after all. Basbusa picked out The Man Whose Name Was Not Thomas from the library mostly because the book itself is smallish, and she loves all things miniature. 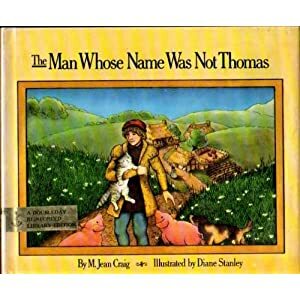 It turned out to be a very interesting read, because the text tells you what the man wasn't, and you have to look at the illustrations to figure out what he was. Basbusa enjoyed (first) guessing and (later) predicting what this man was going to do next, and it's a sweet, happy-ending story. 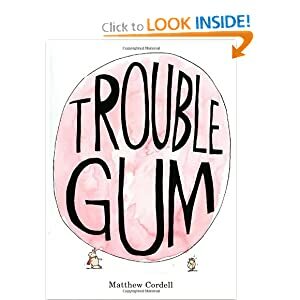 We got Trouble Gum because it was so highly recommended on Read-Aloud Thursday last week, but I was actually a bit skeptical when I glanced through it in the library. 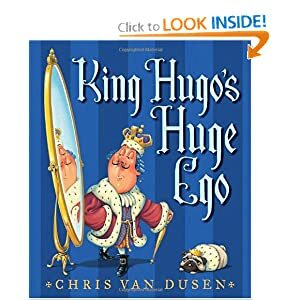 But after we got home, I heard Basbusa giggling to herself - she had gotten the stack of library books, was "reading" this one, and thought it was hilarious! (She was reading "Snap!" and "Pop!" all by herself, too, without our ever having gone through the book together, which was a nice surprise for me :) It's about two little piglets who just cannot resist playing with their gum, despite innumerable maternal warnings, and, unsurprisingly, gum gets everywhere. As Basbusa drifted off to sleep tonight, I heard her saying, "JULIUS!!!!" and giggling again, so I guess she was dreaming of flying, bubble-borne pigs. Homeschool or Not...? Goals for "Schooling"
This is just a few current thoughts on whether or not we should homeschool once Basbusa gets old enough for school, insha'Allah. I hope I'll be able to look back on all these posts and keep track of how my own thinking is evolving. For now, the list below is what I've come up with for what I want my kids to get out of their education, regardless of what kind of school they get it in (once I'm happy with the list, I'll then try to figure out what kind of school or "unschool" could best manage to teach it). These are the bare minimums I want to make sure to cover - I mean, any system that couldn't manage all this, at least, would be one I'd be pretty dubious about. Of course, I hope that the girls will learn lots of other things too; I'm just trying to sort out what my list of basic essentials should look like. 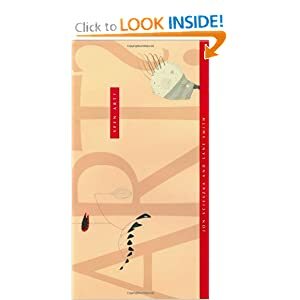 I have a list of about fifty favorite books which I've been saving during my year-long blog hiatus, so most of these books are ones we've returned to the library long ago. So most of these books (and those in many future posts) are ones Basbusa first loved as a two-and-a-half year old, but she's still enjoying them just as much now (at three-and-a-quarter). Lucy & Tom's ABC is the only alphabet book Basbusa has liked so far (and we've tried zillions)! It's not you're typical "A is for Alligator" style of book; each letter stands for something important in the lives of Lucy and Tom, a sister and brother with all the appeal and charm of ordinary preschoolers. For example: "D is for dogs. There are four dogs on Lucy and Tom's street: a little fluffy one, two medium-sized ones, and a big one called Duchess. Tom doesn't like Duchess very much because she always knocks him down." We love Shirley Hughes' books, both for the stories and for the illustrations (my mum saved Moving Molly, Helpers and Dogger from when my sister and I were little, and all three are on Basbusa's all-time-favorites list). Seashells by the Seashore is one I saw praised over at The Adventures of Bear, and both Basbusa and I enjoyed it a lot. 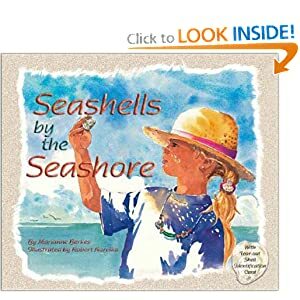 The plot is simply a day which three children spend collecting different kinds of shells as a present for their grandmother, but the book is also a counting book, a very useful manual of common shells, and is written in rhyme. The illustrations are pretty too. We managed to identify a slipper shell, an ark shell and a periwinkle on our last trip to the beach! Quotation from an article on the links between character education and long-term student success, in a very interesting collaborative research project between a fancy New York private school and a KIPP charter school: "Peterson [a psychology professor at U. Michigan] ... identified a set of strenghts that were, according to his research, especially likely to predict life satisfaction and high achievement. ... They settled on a final list: zest, grit, self-control, social intelligence, gratitude, optimism and curiosity." So, Basbusa is now three, and her little sister is almost one (sub7an Allah, it's insane how much faster the time rushes by with two babies). I'm staying home with them rather than working, which, ironically, has meant *less* time for blogging since I'm no longer able to fit it in to quiet moments during the work-day! Also, I pretty much gave up on the tot-schooling thing. The activities that Basbusa got most out of were always the ones that were closest to real life rather than "structured activities," and she never was interested in completing (or even starting) an activity that she couldn't see a use for it in her own real life, no matter how "educational" it was, or how pretty the pieces were, or how novel it was (or how long I'd spent preparing it!). I have a feeling that the baby might be more excited about Tot-School activities, though... I'll keep it in mind a few months from now. Right now, I'm thinking very very hard about homeschooling rather than sending Basbusa to school when she's five. (She just started a fantastic preschool that she loves so far, but it's only twice a week for three hours, and they don't do any academics at all. And it's way too expensive for us to do more than that, even if we did want her in "school" for longer hours.) So one reason I'm blogging again is to keep track of my thoughts on the whole homeschooling option. The other is to keep a record of the fantastic books we've been reading! Basbusa is just as book-crazy as she was as a tot, and I want to make sure we still remember all the great books we've found once the baby is old enough to read them. Plus, I've gotten so much out of book-suggestions from other bloggers, so I'd like to share the joy!